Why hire an English speaking estate agent? 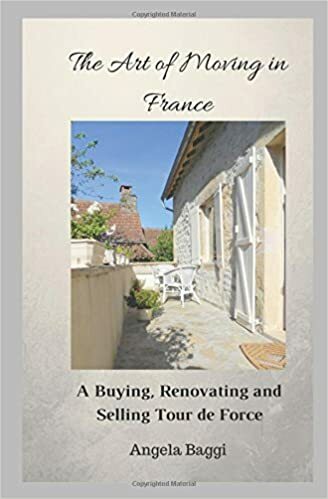 If you are planning to buy a house in France it is very handy when you communicate with your agent in your own language. After all, you don’t buy a home abroad every day. I have created a Google Map that lets you search for English-speaking estate agents within a radius of 5, 10, 25 or 50 kilometers of a given location. English speaking immobiliers are displayed on the map with a red icon. If you click on the icon you will see their name and a clickable link to their website. Ask an agent always for the Carte Professionnelle. In France, the profession of estate agent is regulated by law. French agents must meet certain conditions. They must have completed a professional training, and they must also have a liability insurance. Brokers who meet all conditions receive a Carte Professionnelle from the prefecture (French government). The Carte Professionnelle is the official proof that they may act as a real estate agent. 1. UK-based British estate agents. Agents who have their office in the UK are usually intermediary between you and the local French agents. They receive a percentage of the commission of the French agent. But if this percentage is low, an english estate agent may ask you to pay a fee. 2. Local agents specialized in international clients. In regions such as the Côte d'Azur, you will find agents who are specialized in selling property to foreigners. These brokers focus mainly on English speaking buyers. 3. Small, local estate agencies. In regions that are popular with foreigners you will find in local French estate agencies nearly always someone who speaks English. In France, a lot of English speaking intermediaries operate who can assist you in dealing with local French brokers. These intermediaries often have their own website with properties of different local agents. If you speak French very well, you can also buy a house without the help of an agent. Half of the houses in France change owner without the intervention of an agent. Through private sales, auctions or through a notary. Your agency on the map? to add your estate agency to the map. If you like this map, please recommend it on Facebook, Twitter, LinkedIn or Google Plus. Since 2003, the Dutch based Property Portal Affidata has been focussing on offering free but high quality advertising in as many languages as possible.